When you change your clocks for Daylight Savings Time in March and November, be sure to also check for recalls that may impact your vehicle, officials at the U.S. Department of Transportation (DOT) are now urging vehicle owners as part of a new campaign. This campaign, known as Safe Cars Save Lives, is centered on improving the efficacy of vehicle recalls in the U.S. by encouraging vehicle owners to be more proactive about checking for recalls. According to DOT officials, each year, an average of 25 percent of all vehicles affected by recalls in the U.S. are never repaired. Considering that, in 2015, about 51 million vehicles in the U.S. were impacted by nearly 900 different recalls, this means that close to 13 million vehicles never received the repairs necessary to fix faulty or defective equipment. And that, in turn, means that millions of motorists may be facing higher risks of equipment failures and/or accidents. Boosting repair rates requires effective communication at every level and every step of the way… Success is getting a 100 percent completion rate for every single recall. 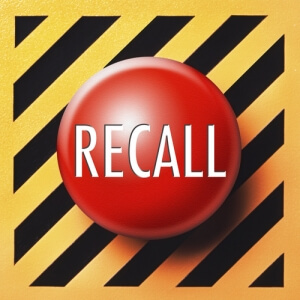 Although automakers are required to notify vehicle owners about recalls, it’s not uncommon for owners to never receive these recall notices – And this is usually because automakers do not have accurate or up-to-date mailing addresses for vehicles. This is one of the most prominent reasons for such a high rate of noncompliance with vehicle recalls – and for the latest push from regulators to have vehicle owners take charge of checking for recalls. Vehicle owners can easily check for recalls by their vehicle(s) VIN – And they can do this online, using this free tool developed by the NHTSA. This tool includes recall information for the past 15 years, according to regulators. Automakers may soon have stricter requirements for issuing recall notices – And that is due to a recent New Rule proposed by DOT officials, which would require email notifications, along with follow-up notices being sent if an inadequate number of vehicle owners respond to the recall. Contact an Experienced Denver Personal Injury Attorney at Bell & Pollock, P.C. If you have been injured by faulty vehicle equipment – or in an auto wreck caused by an equipment malfunction, you can turn to a Denver personal injury attorney at Bell & Pollock, P.C. for experienced help advocating your rights and pursuing justice.